The design encourages golfers to get their hands in front of the golf ball at address, and to stroke putts smoothly towards the hole. Being so light means it is only really useful on quicker greens in summer. It might be the cheapest putter in this test, but the Ben Sayers Benny Four’s precise design gives an instant picture of where you are aiming. 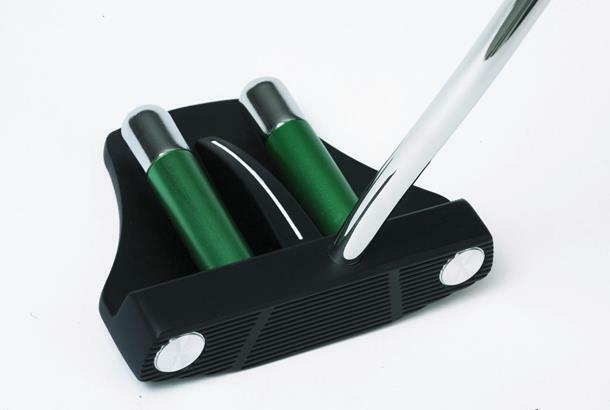 The design encourages golfers to get their hands in front of the golf ball at address, and to stroke putts smoothly towards the hole – perfect for most club golfers. If the head weighed a little more it could have been a real contender for a top award. But being so light means it is only really useful on quicker greens in summer. But worth a look if you like the geometric design. Carefully positioned control pads on the Ben Sayers Benny Four create a balanced putter, promoting a smooth swingplane for greater accuracy.